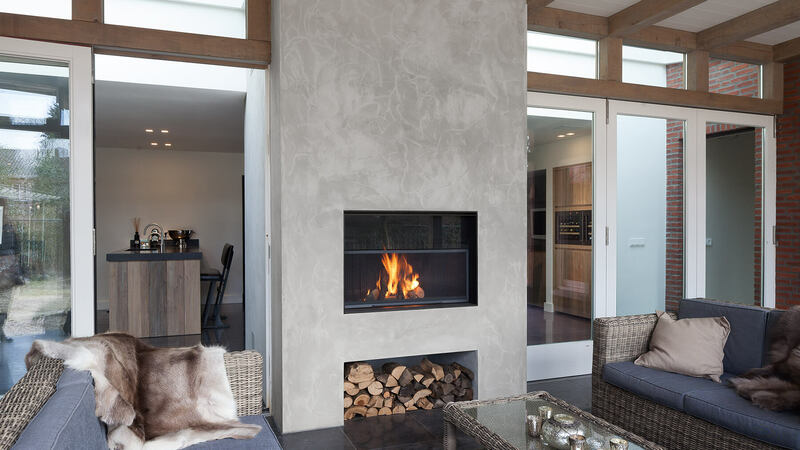 Set in this contemporary outdoor area, this modern outdoor fireplace is great for warming up those cool summer evenings. 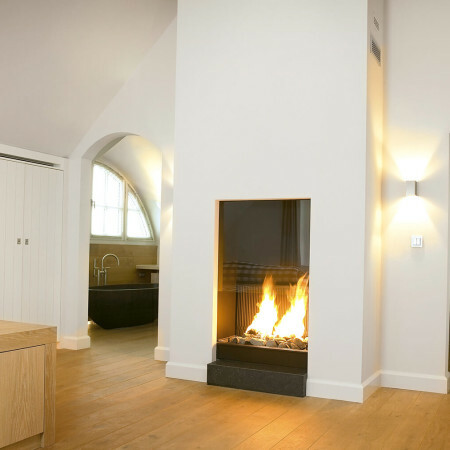 The fire is built into an existing chimney breast but could equally be installed from new. 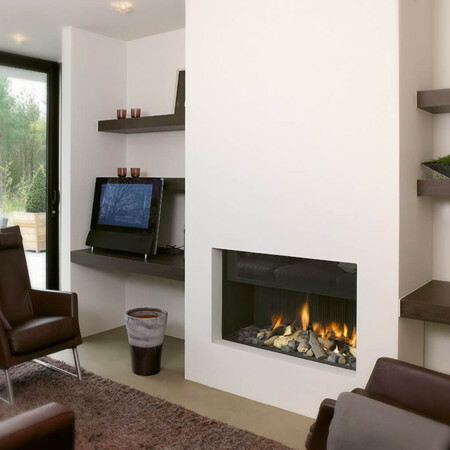 This model is a wood version but could equally be designed as a gas fire. This wood fire version comes with a hinging fireguard for spark protection, and there is another option for a fireguard that slides up out of sight when not in use.